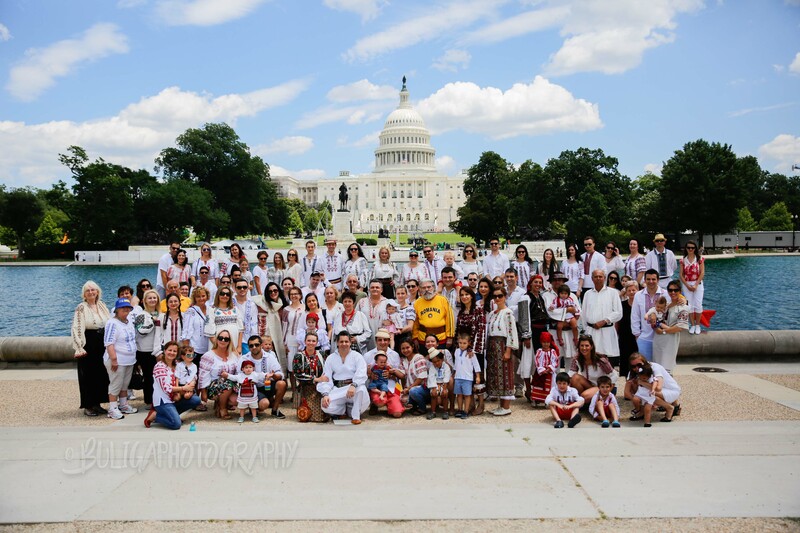 On a sunny and breezy June 24, 2017, a group of over 100 Romanians from states and suburbs surrounding Washington, D.C., have gathered in front of the State Capitol’s reflecting pool to pose for a group picture in celebration of the Universal Day of the Romanian Blouse called “ie,” a hand-woven and hand-sewn artisanal blouse. Women from the three regions of Romania, Transylvania, Moldova, and Wallachia, have sewn these intricate works of art for centuries. 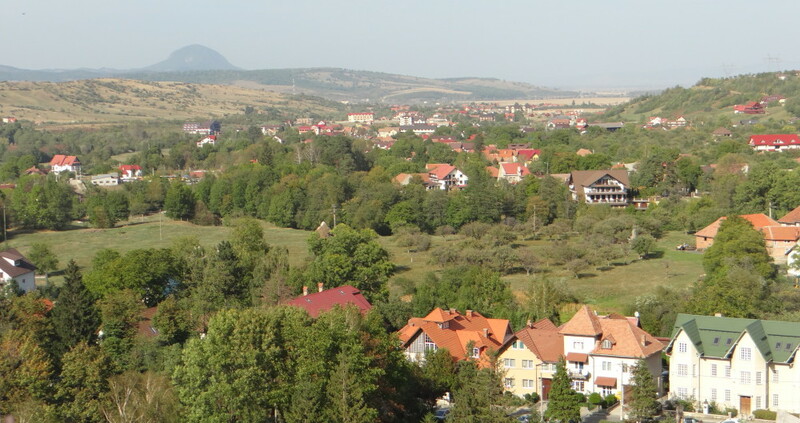 Expensive designers can copy Romanian folkloric costumes such as blouses, coats, vests, pants, skirts, and other garments without attribution, but only a Romanian artisan can create them with originality and unrivaled talent. A few ladies, who posed for this event, were wearing long-sleeved and short-sleeved “ie,” some new, some sewn more than a hundred years ago. A special “ie,” which belonged in a museum, had been worn for the first time on the day that the Eiffel Tower had opened in Paris. The yellow stains of time were barely visible here and there. Original skirts, blouses, hats with feathers, and hand-made leather shoes called “opinci” were worn for the photo shoot. A man’s long shirt with red stitching was also on display. One lady told me that she has her own Romanian costume museum in her home in Arlington, Virginia, where she preserves with love all the items she has collected over decades. The national “ie” is one of many symbols of the rich Romanian culture, passed on from generation to generation, the artistic creation of thousands of talented and anonymous women who could easily spend months toiling on one “ie,” worn for a special occasion and during church services. Such works of art were passed on to daughters and granddaughters as part of their dowries. There are men’s and children’s traditional costumes as well. Folkloric dancers dazzle audiences on stage with their skill and beautiful costumes from various regions in Romania. Queen Maria of Romania was often seen on the grounds of the Bran Castle in Risnov, dressed in a beautiful white “ie” with red and black stitching and the traditional skirt, “fota,” also hand-woven. I still remember my aunt and my grandma who were intricately weaving yards of white cloth which was then painstakingly sewn to size and cross-stitched or embroidered by hand in beautiful colors chosen according to the region and the taste of the wearer. Not one “ie” was identical to another; they each had a distinct flare that expressed the talent of the creator. The sleeve often had a wish sewn in a bright color by the owner. Only then would the wish come true. I have my own “ie” gifted to me on my wedding day in 1978 by my parents, several sizes ago. On my subsequent trips to Romania, I’ve always sought an unusual pattern and color and I brought back a new “ie.” I wear them with pride and it makes me feel that a small part of Romania is always close to my heart. 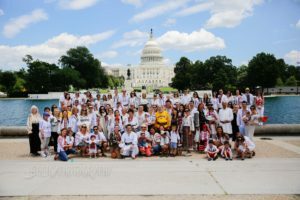 This entry was posted in Education and tagged #givecredit, Bogdan Banu, costumes, cultural appropriation, Dior, fota, ie, Ioana Boliga, opinci, Romania, Tory Burch, tradition by Admin. Bookmark the permalink.